Before any carpet cleaning, the first step to the best results is a thorough vacuuming. It is the most important step in getting your carpets cleaned. At O.G PROFESSIONAL CARPET CARE we offer and recommend vacuuming traffic lanes, edges, behind and under furniture. This step prepares your carpet for cleaning by: removing most dry soil , hair, pet dander, and dust that is deep in your carpet. Vacuuming also lifts the nap in your carpet to prepare for the carpet cleaning process. O.G Pro Carpet Care also offers a vacuuming package for clients who need help vacuuming their carpet as needed. Call us, we can vacuum your carpets for you on a weekly, bi weekly, or monthly basis. We use high powered, well maintained vacuums to keep your carpets fresh ! Edge vacuuming, dust and dander gathers and sets in the corners of carpeted rooms and how often does it get vacuumed? 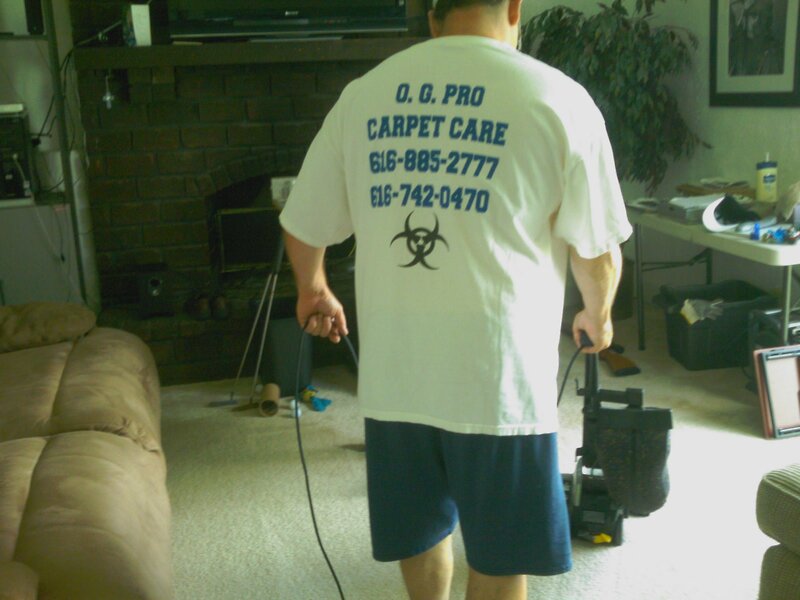 At O.G PRO CARPET CARE, it is part of the complete routine that get your carpet to like new condition. We are Vacuuming Carpets in Grand Rapids and surrounding areas.